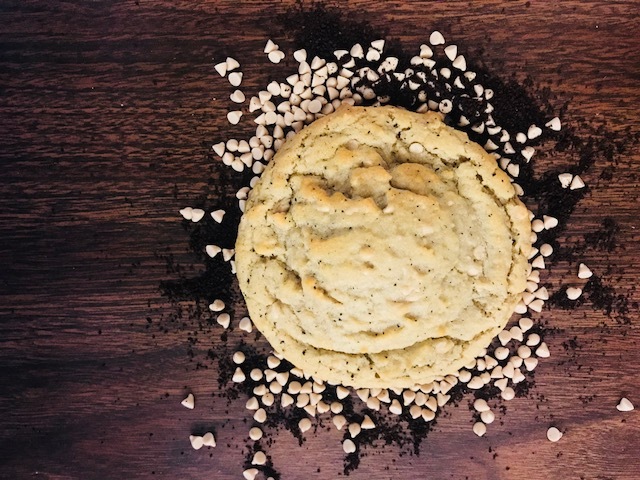 Gourmet, fresh-baked cookies, delivered to you from a local, community, and eco-focused company. For those of you craving Spring and Summer, this banana pudding flavored cookie, brimming with white chocolate and vanilla wafers, is sure make you feel sunny on the inside. *Have an event and need a larger order? Or, need a lot of cookies on another day of the week? Contact us to see what we can do! At this point, we don't have our own store front where you can come to taste our sensational treats. But never fear! You don't have to spend your time searching for us, we'll come right to YOU! There have been 121 reported sightings of Sasquatch in Colorado. We endeavor to bring life to late nights through humor, creativity, quality and care in the form of some baked goodness. We are committed to sustainability and our local community, making eco-conscious choices and giving back 10% of all profits to local feeding projects. Do you love the flavor of birthday cake, sprinkles and happiness? If so, this cookie is sure to hit the spot! Filled with rainbow sprinkles and birthday cake flavor, this cookie is sure to satisfy your inner child. Sasquatch knows some things just go together, so he is selling milk and coffee to go with his cookies. 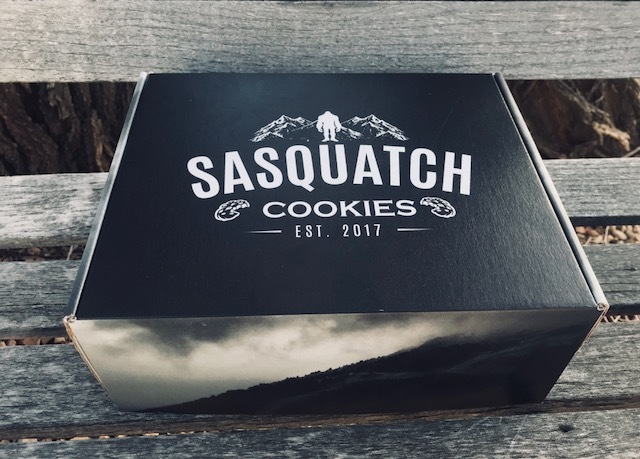 You can have your cookies delivered by Sasquatch, himself! Add this addition to your order for a flat fee of $10.00. Sasquatch is selling cards to add to your cookie gifts! 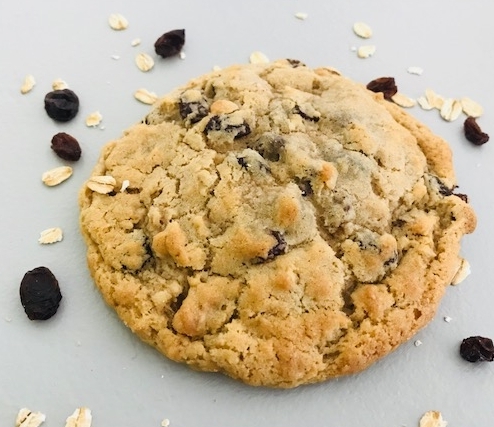 We at Sasquatch Cookies want to leave footprints – and not the bad eco footprints that destroy our world – but positive footprints in the lives of everyone we come in contact with. We did too. So, we decided to band together and do something about it – and now you can too! One cookie is never enough cookies. To feed our inner beast, we offer cookies in packages. No cookie should have to go alone. Planning a feeding frenzy? See what we can do to accommodate your events and catering needs. Contact us today!